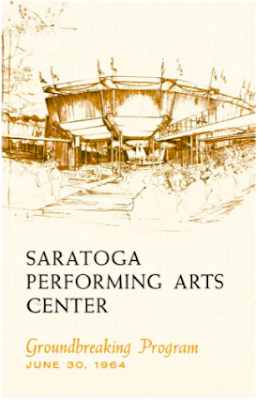 Elizabeth Sobol is a veteran of the classical music and recording industry and she became the President and CEO of the Saratoga Performing Arts Center (SPAC) in 2016 with the responsibility to lead the famed venue into its sixth decade. With over thirty years at IMG Artists, a global leader of performing arts, social media, and festival and events management, and three years as President and CEO of Universal Music Classics, home to record imprints Deutsche Grammophon and Decca, she brings a wealth of knowledge and experience to her new role. Stay Thirsty Magazine was excited to visit with Elizabeth Sobol in Saratoga Springs, NY, for this Conversation to learn more about her vision for SPAC going forward. STAY THIRSTY: With a mission “to present vibrant and diverse artistic performances that engage and enrich the community,” how do you go about selecting a calendar of events from year-to-year? ELIZABETH SOBOL: Well, I start with what excites me. I am a voracious reader and listener and constantly curious about new things going on. I also spend a lot of time out in the community. I listen to what people saying and observe them, looking for what excites them, inspires them. Then I do my research: what has been to Saratoga and the Capital Region before, what’s missing, what’s selling tickets. From that outline, I start to fill in colors, i.e., the programming. STAY THIRSTY: With a Board of Directors of over 25 people, how challenging has it been to get the consensus you needed to make progress? ELIZABETH SOBOL: It’s actually been an amazingly smooth and gratifying process. My board is filled with intelligent, caring people who are utterly dedicated to SPAC and to Saratoga/the Capital Region. Not only are they generous financially, they are generous in spirit. I am in the lucky position to be working with a board that already have a fundamental consensus that they were ready to have SPAC transformed for the future – but transformation based on its history, tradition and DNA. So, from the get-go, we have all been in agreement about the most essential issue. From there, if you put forward a well-thought-out, persuasive argument to a group of intelligent, dedicated people, it becomes fairly easy to move things forward. STAY THIRSTY: What role do membership dues play in your financial planning and how responsive are you to issues your members raise? Do the issues you encounter differ from the issues similar venues have across the country? Do CEO’s of other venues work together on common problems? ELIZABETH SOBOL: To answer your last question first, yes, there is a group of Festival Managers from around the country – Hollywood Bowl, Ravinia, Wolf Trap, etc. – that meet once a year to discuss common challenges. And during the year, we are all very likely to call each other on issues here or there. It’s a very collegial group. And certainly there are many issues that are common challenges throughout the US. Membership represents a huge part of our contributed income. As a result, we put an enormous emphasis on customer service and responsiveness to members’ needs. We are always looking to improve – and to deepen the relationship between members and the organization. STAY THIRSTY: How does your background, first in artist management, and then at a major classical recording company, help you run the Saratoga Performing Arts Center? How are the challenges different from your earlier positions to today and what areas give you the most satisfaction? The most headaches? ELIZABETH SOBOL: Certainly having run and dealt with the demands of two commercial operations – first IMG Artists and then Universal Music Classics – has given me a different set of chops than a purely not-for-profit background is likely to provide. And, in both those instances, I was working on a national and international level whereas at SPAC, the primary focus is local/regional. However, being able to zoom in on Saratoga after having had the wider focus allows me to create a different kind of vision for the place than someone who may have begun locally. The challenges, however, are ultimately similar: how to get people who aren’t primed to love the classics (whether ballet, classical music, jazz, etc) to walk through your door for the first time, giving you the chance to seduce them with beauty. STAY THIRSTY: From classical violin to rock to opera and to Cuban jazz, what is your favorite genre to listen to and how do your personal tastes in music and in dance affect your choice of Saratoga programming? ELIZABETH SOBOL: I can’t really say I have a favorite because it is so dependent upon what kind of mind-state I am in. Early in the morning I listen to Middle Eastern and Indian music. During the day, I often listen to music that is hypnotic and pattern oriented – Steve Reich, Max Richter, Olafur Arnolds, for instance. World music of all kinds – from Cuban to Celtic – are part of my usual playlists – and any kinds of cross-genre, collaborative music that makes sparks fly where edges bump up against each other. And finally, Bach. Always Bach. STAY THIRSTY: What are the benefits and the detriments of an outdoor performance space, not only for the artists, but also for the professionals behind the scenes? ELIZABETH SOBOL: Weather is a challenge, not so much a detriment. In fact, that perfect confluence of natural setting and great performance is what makes SPAC so incredible – and makes the experience so indelible and lasting. I remember a night last Summer when the Philadelphia Orchestra played Shostakovich Fifth Symphony. A thunderstorm rumbled through part of the piece’s most dark and ominous parts – giving it even more emotional depth than if it had been in a quiet concert hall. Needless to say, when massive electrical storms barrel though, as they did last year around at a Brad Paisley concert, there are many safety measures our teams have to execute to insure the safety of the audience members. But other than that, our natural, park setting provides for the most extraordinary of experiences. STAY THIRSTY: As you reflect back on the 52-year history of the Saratoga Performing Arts Center and the key people who had the vision to develop this venue, how has the local Saratoga Springs community benefited over the decades and how do you see those benefits growing going forward? ELIZABETH SOBOL: Having been here only 18 months, one of things that has been most impressive and meaningful and important to observe is just how deeply memories of SPAC experiences are a part of individuals and the community. People don’t just remember their incredible experiences of NYCB in the Balanchine days or the Grateful Dead or Ormandy with Philadelphia – they have memories of a first date with their future husband, or first steps taken by their child on the SPAC lawn – we’ve even had many people choose to be married here. Everyone has strong, positive memories that have literally shaped their lives. In all my years in the Arts world, I have never experienced a cultural organization that has such deep connections, that is such a fundamental part of the eco-system of a region. I look at SPAC like that huge, old, exquisite tree that provides deep roots and enormous shade – a refuge of beauty.